Objet announced the establishment of Objet Japan KK, a new joint venture formed together with the 3D Printer division of Fasotec Co. Ltd, Objet’s longstanding distributor in the region. The new entity is established in line with Objet’s global strategy to offer local support in key strategic markets, meeting the increasingly intricate requirements due to complexity of product portfolio and adapting to suit unique local conditions. Objet holds majority of ownership share of the new entity. Objet has been providing the Japanese market cutting-edge 3D printing technology since 2003. Demand for the latest technology and advanced applications have been growing steadily over the years, and are expected to continue. Driven by the advanced requests, the new entity is established to be closer to the market for better understanding of specifications and to keep with the pace of the fast-changing Japanese market. Combining the experience of market knowledge and industry best-practices, Objet Japan is committed to satisfy both partners and customers on both products and services. We profiled the merger between Stratasys and Objet in April, and showcased Objet’s 3D printed Fenway Park in May. 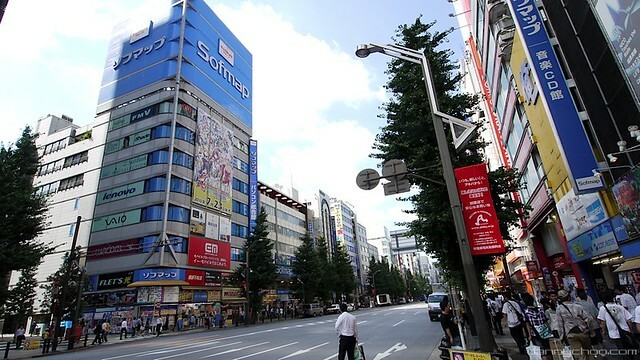 Akihabara photo by Danny Choo used under Creative Commons license.